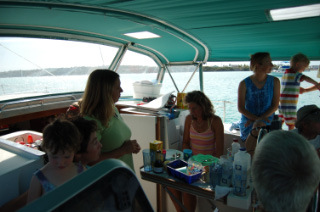 Pancake Party on Isla Bonita! 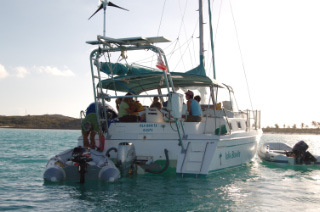 Just how many people can you fit on a small catamaran? Now that is a laundymat! 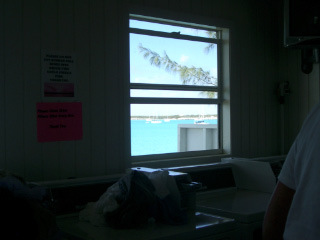 After finally leaving Pipe Creek we make a one night stop in Blackpoint for laundry before heading toward Georgetown. 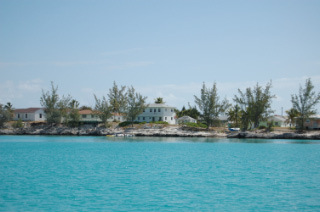 But Blackpoint becomes less about laundry and more about meeting new friends. 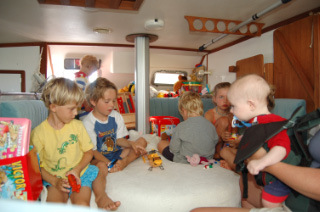 We meet a fleet of new boats with kids that we haven’t met before. 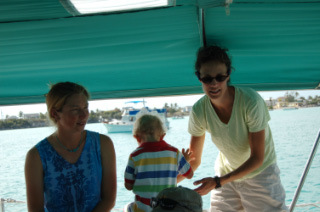 We all go out to dinner at Lorraine’s Café (whose mother also bakes famous bread and who also operates Lorraine’s famous laundrymat – Lorraine is perhaps the most enterprising person in the Exumas) and are invited to have a pancake breakfast on Isla Bonita, a small catamaran. The new friends we meet include Amicus, Satisfaction III, Maeva and of course Isla Bonita. 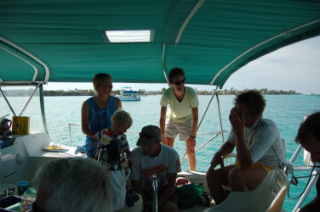 It is an amazing group with an eclectic cruising background. Amicus is a pretty steel hulled ketch from the Great Lakes. Mark and Katya have their two girls Cedar and Lamar on board. We will get to know them much better when we’re all weathered in together in Redshanks. Satisfaction III are perhaps the lightest hearted but most inspiringly determined cruisers with kids. 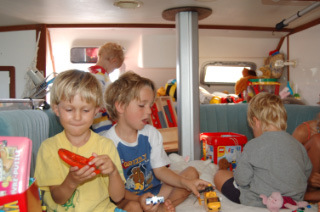 They have planned for years to take a year to go cruising when they’re second son is born with cerebral palsy. 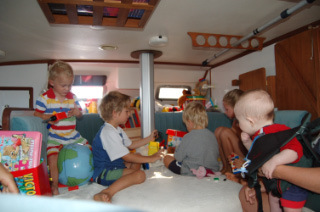 Cruising with kids is not easy but the challenges they face would deter most. But not them! So they set out on their adventure and barely get out of Canada before running hard aground. Due to inaction on the part of the insurance company the boat is left aground for days and wave action totals the boat. Again, this would be enough to deter most cruisers. But not them! They salvage what they can, load up a Uhaul and drive toward Annapolis to find another boat. They find a boat in South Carolina, buy it with their insurance settlement, and set sail once again! The kids are adorable and having a grand adventure. This family is heroic! 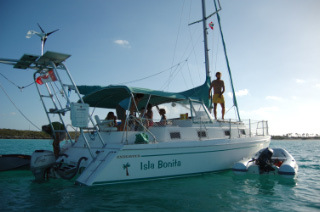 Isla Bonita has a great cruising scheme. They are both ER doctors from the Yukon! 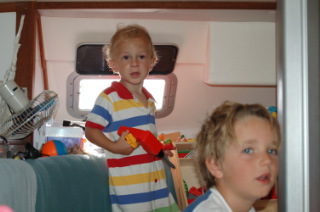 They work 6 months a year then he flies to Florida with his father, does the Gulf crossing with his Dad and sails to the Exumas. His wife then brings the kids and meets him at Staniel Cay. 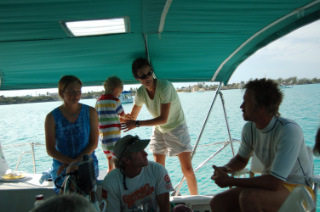 They sail the Exumas all winter, leave the boat in Florida, and head back to the Yukon to work for 6 months before doing it all over again.